Digital and transfer printing technologies set for take-off at P&P LIVE! Printwear & Promotion LIVE! 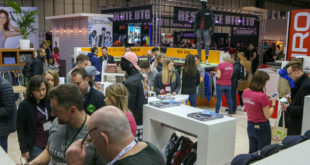 is now recognised as the platform for new equipment and product launches, with UK debuts being a regular feature, and the 30th anniversary event will not break tradition. 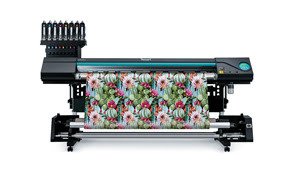 The ground-breaking digital dye sublimation printer, the Texart RT-640M, has unique printing capabilities that make it possible to print directly onto polyester-based fabrics and dye sublimation transfer paper. With an unrivalled price to performance ratio, this truly versatile digital dye sublimation print solution is sure to be a star attraction of the Roland DG (UK) (G60) stand. 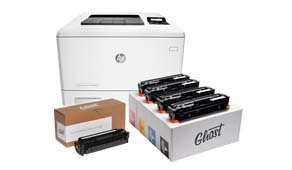 The innovative Ghost Sublime Toners were specially developed for transfer to polyester textiles. Simply replace your regular CMYK toner cartridges with a set of Sublime CMYK Toners, print your design onto regular copy paper and then you’re ready to transfer directly to your chosen polyester and polymer-coated textiles! 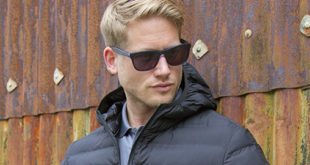 Find out more on Ghost‘s stand (G22) at the show. 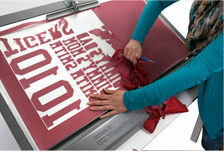 Bring your own pre-cut design for weeding to the show and put the Stahls’ EZ Weeding Table to the test! With the bond between a heat transfer material and its carrier lessened when heat is applied, the table promises to improve HTV weeding by 80%. The EZ Weeding Table will be available on the Target Transfers stand (C30), along with the UK debut of the Stahls’ Hotronix Dual Air Fusion IQ machine. The new Image Flex Turbo 4036 is a digital print, heat pressable, PU film that can be used to produce full colour, high resolution graphics and logos for garment personalisation on almost any textile. With a pressing time of just three seconds at a temperature of 160°C, the film allows for much faster turnaround, increased productivity and profitability! Visit the Doro Tape stand (A52) to find out more. The new Kornit Storm HD6 industrial printer entered the market earlier this year. The Storm HD6 allows small to mid-size businesses to drastically reduce the cost per print, produce high-definition image quality and offers improved hand feel – with an enhanced colour management experience. Visitors can stop by both Amaya Sales UK, on stand E40, and Adelco, on stand J20, to find out more about the Kornit Storm HD6. 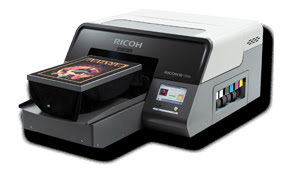 The Ri 1000 is Ricoh’s middle market option, but still boasts many of the same features as the higher-end Ri 6000. With a price tag that is far less than its production capabilities, the Ri 1000 will be a big attraction for new and growing DTG companies. To find out more, stop by the Resolute DTG stand (B20) at the show. 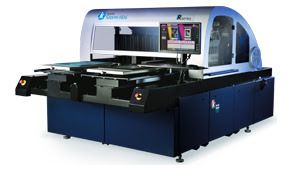 The DTG-QM8 from DTG Digital is a high-speed, industrial, production-ready textile printer that promises to deliver incredibly sharp colours and clarity at a competitive price. 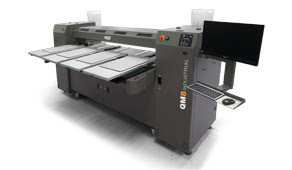 With cost effective ink management, the DTG-QM8 requires less maintenance and has the lowest ink, consumable and service cost on the market. 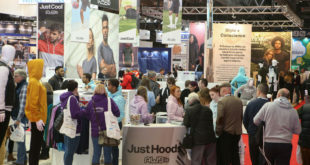 Stop by the Your Embroidery Services Ltd stand (H10) to find out more!